Now is the time for the truth to prevail. On Tuesday, the Supreme Court (SC) upheld its decision in April declaring as unconstitutional a Department of Justice (DOJ) circular used by then Justice Secretary Leila De Lima to stop former President Gloria Macapagal Arroyo from leaving the Philippines back in 2011. A DOJ Circular No. 41 was issued to allow the former Justice Secretary to stop Arroyo from going abroad, who was then under an investigation by DOJ. In April, the SC declared the move as unconstitutional because it violates the right to travel under Article III, Section 6 of the 1987 Constitution. “The Court, in interpreting Article III, Section 6, determined that there was no legal basis for Department Circular No. 41 because of the absence of a law authorizing the Secretary of Justice to issue Hold Departure Orders (HDO), Watchlist Orders (WLO) and Allow Departure Order (ADO),” the high court stated. In that year, De lima issued the Circular as the basis for three watchlist orders against the former President, including her husband, Jose Miguel Arroyo and also the former PAGCOR Chairman Ephraim Genuino. If recalled, De Lima got to stop the then wheelchair-bound Arroyo who was with her husband at the immigration. The immigration officers stopped the couple on November 26, 2011 from boarding a plane bound to Hong Kong. And, despite the temporary restraining order issued by SC against the Circular, Arroyo still failed to leave the country. The detained Senator’s camp earlier submitted a motion for reconsideration seeking for reversal of SC’s April 2018 decision. 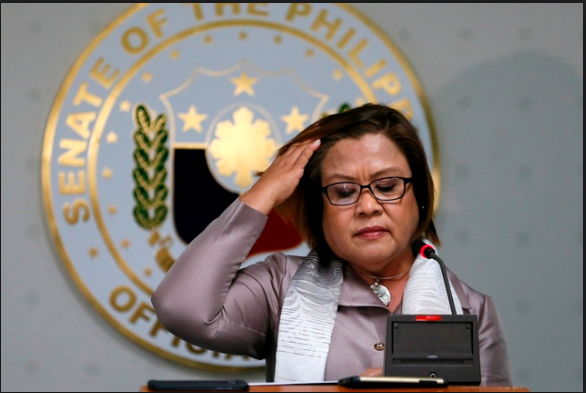 However, as expected, the motion was dismissed by the high court on Tuesday’s enbanc session due to failure to provide or raise new arguments by De Lima’s camp.